The human body gets rid of millions of dead skin flakes and as much as 1 liter of perspiration in a night. Dust mites can survive in virtually all fabrics, clothing and carpets, but did you know that even a new mattress could include dust mites in the fibers? Dust mites, in addition to the numerous cases of hay fever, eczema, and other allergic complaints affect 50 to 80 percent of asthmatics, and we haven’t even discussed mold and mildew. So what do Allergists Recommend? To deprive dust mites of their nutritional food source, defending our pillows and mattresses, which can dramatically reduce the dust mites’ ability to reproduce, can do this easily and cheaply. It is important that we clean our bed linens at least one time per week in a hot laundering process. Hypoallergenic & Dust Mite Resistant: What does this mean for you? 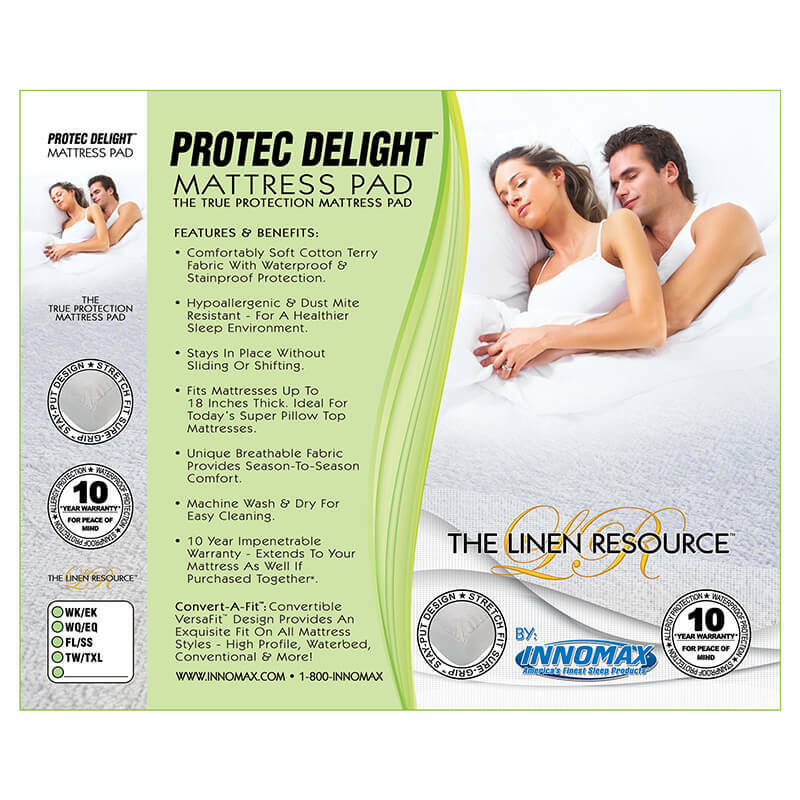 A Non-Allergenic cover such as this is extremely unlikely to be the cause of an allergic reaction, exposing you each night to a Healthier sleep environment so you can breathe a little easier. 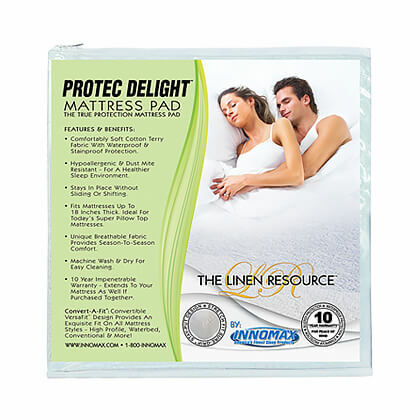 Stays In Place Without Sliding Or Shifting: This pretty much speaks for itself if you have ever dealt with a protector that just wouldn’t stay put. 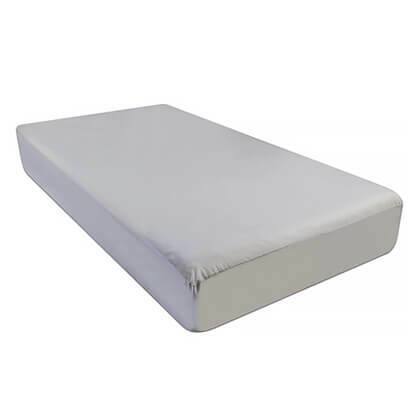 It’ll Fit: Built to work with super thick mattresses of all kinds and brands up to 18 Inches in profile thickness. 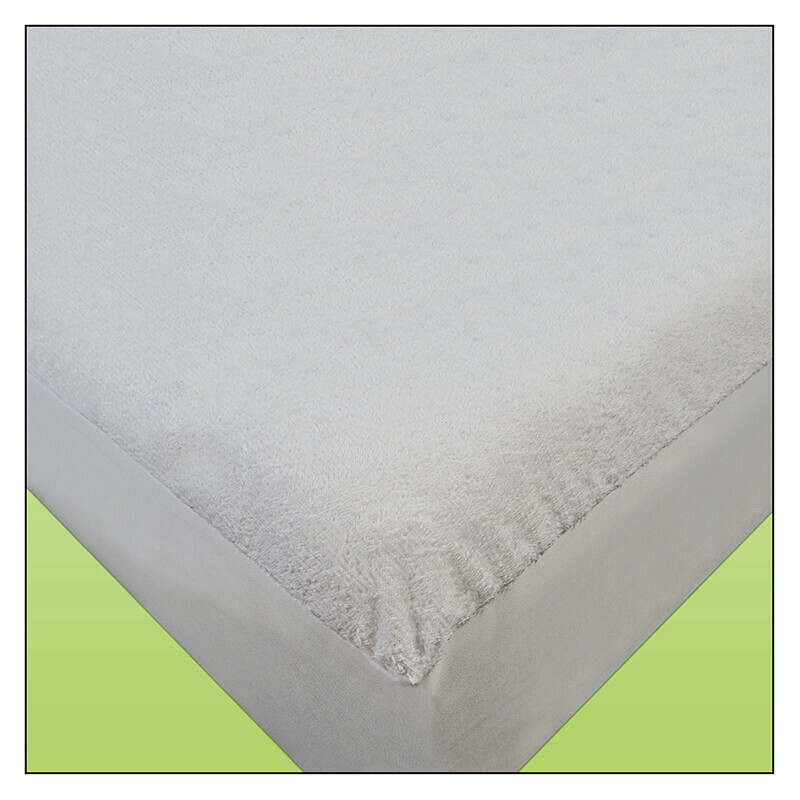 Stop The Sweat: If your old mattress pad or protector is the reason you sweat, throw it out and check out the coolest breathable fabric that provides season-to-season comfort. For best results, remove from dryer promptly upon completion of drying cycle and fold at once. The Unique building design allows one protector to fit 2 sizes as shown below.